Spring, the season of fertility and frivolous flings, is a bounty for science as well. Science fests ranging from the World Science Festival in New York to thousands of fairs at local elementary schools, bring people together to celebrate the systematic search for knowledge — and have fun. Here's a scene from 2008's Great Moonbuggy Race in Huntsville, Alabama. Students assemble human-powered vehicles and then drive them over a mock lunar landscape replete with craters, lava ridges and sandy soils. Click the "Next" arrow above to learn about nine more spring flings with science. 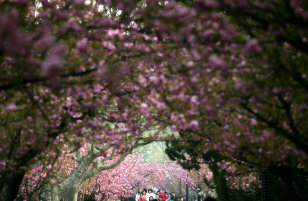 Judging by the tilt of Earth's axis, spring officially arrives in the Northern Hemisphere on March 20. But judging by biological clocks — when plants bloom, critters wake and birds sing — spring is arriving days to weeks earlier than it did just a few decades ago. 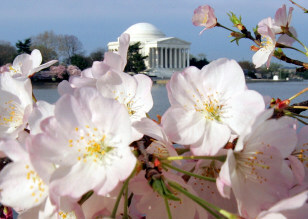 For example, the famous cherry trees in Washington bloom about five days earlier than they did 30 years ago, scientists say. The reason? Climate change, of course. Wood thrushes, like this male shown with its electronic backpack, breed in eastern North America where passersby can hear the songbirds' melodic "Ee-oh-lay." 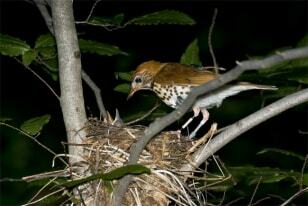 Songbirds are in a much greater rush to migrate back to North America each spring from their South American wintering grounds than previously thought, according to scientists who outfitted critters such as the wood thrush shown here with tiny electronic backpacks. The gadgets recorded the birds' whereabouts for an entire migration cycle. Overall, the birds flew much quicker than expected, covering an average of 311 miles per day, compared with previous estimates of 93 miles per day. The biggest surprise was how quickly the birds returned to North America. Their trip was two to six times more rapid than their flight south. One bird, for example, flew to Brazil in 43 days, but returned in just 13 days. The quick flight may be related to a race to secure the best real estate for nesting. During springtime, moist air replaces the cold and dry stuff of winter. But this seasonal transition can turn deadly when the warm air gets trapped under a stable layer of cold and dry air. If the surface heats up rapidly, or an influx of cold air rushes in, the warm air will rise and condense, forming clouds and thunderstorms. And if the winds are just so, the rising air will spin around a funnel and spawn a tornado that sweeps across the land, blowing apart everything in its path. 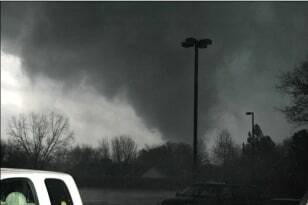 This image shows a tornado funnel cloud approaching Atkins, Ark. Scientists say the sweet smell of spring given off by flowers in bloom is being blunted by pollutants from power plants and automobiles. Scent molecules produced by flowers quickly bond with pollutants such as ozone, which destroys the floral aroma. As a result, floral smells that wafted up to 4,000 feet in the wind from their source in the 1800s today travel less than 1,000 feet. The loss could be impacting pollinators such as bees, which rely partly on the sweet smells to locate nectar-laden flowers. Easter — the Christian celebration of the day Jesus rose from the dead — is a movable feast. In other words, it is not fixed to a specific day of the Gregorian calendar but rather is pegged to the first full moon that occurs after the vernal, or spring, equinox. That's why Easter Sunday, a favorite spring holiday, occurs anywhere between March 22 and April 25. One point of contention is the church's fixing of the equinox to March 21 even though, astronomically speaking, spring officially starts no later than March 20, at European longitudes, between the years 2008 and 2101. 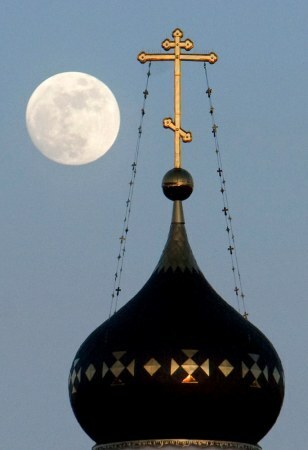 As a result, astronomers would set Easter on March 28 in the year 2038, following the March 21 full moon, but the church sets that year's Easter on April 25 instead. Skiers and other winter sports enthusiasts know spring as the time of year when snow turns slushy and sloppy. All that meltwater combined with spring rains brings a different threat to residents of the Midwest: spring floods. A potent combo of abundant snowmelt and torrential rains proved disastrous throughout the region in 2008, when swollen rivers topped their banks and breached levees. 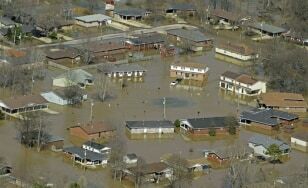 The floods swept over towns such as Poplar Bluff, Mo., shown here. Spring is the season of fertility. Birds lay eggs. Rabbits do what rabbits do best. And trees, flowers and grasses bud, blossom and bloom, sending out pollen in hopes of attracting a mate. That particular harbinger of spring can drive us crazy with sneezes, sniffles and sleepless nights of the unenviable kind. That's because pollen can cause an allergic reaction. 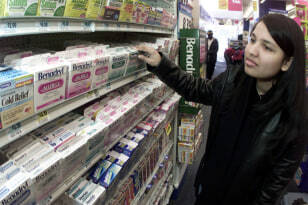 The body goes on the attack with a vengeance by producing so-called histamines — chemicals that cause the telltale sneezes, sniffles, watery eyes and everything else that seems like a bad cold, but without the fever, aches and pains. Just about every year, somewhere, millions of bugs with beady red eyes emerge en masse after 13- or 17-year stints underground where they sucked sap from tree roots. 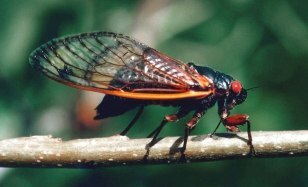 The mass emergence kicks off the final month of the periodical cicadas' life. The nymphs transform into adults, create a cacophonous ruckus searching for a mate, reproduce and die. And since their groups, known as broods, are so large, they prove a feast for critters great and small. Squirrels, birds, dogs, cats and even some humans consider them a protein-rich snack. The sight of scantily clad women, according to rigorous scientific research, causes men to behave poorly, especially when it comes to financial decisions. In one set of experiments, for example, men who watched videos of bikini-clad women running through a park settled for less money in a negotiation than men who watched videos of men running through a landscape. Since spring time - and spring break - is the start of bikini season, men might want to be aware of the toll the bikini factor can have on their bank account.